Jaguar Land Rover has developed the ultimate car door that opens automatically as the driver approaches or can be operated by gesture control. The mobility door prototype, currently being tested on a Range Rover Sport, uses motion sensors and existing keyless entry technology to detect the driver as they walk towards the vehicle before automatically opening the door to welcome them like an invisible valet. The technology could help disabled people for whom a car is their main mode of transport* – as many as a third of whom report practical difficulties in their daily usage**. In addition, it has benefits for those carrying child seats or large items as the driver no longer has to struggle to free a hand to open the door. Once on board, occupants can close the mobility door with an overhead button – without the need to reach out and pull the door shut. Software built into the infotainment system shows the status of each door and allows operation of the driver and passenger doors from inside the cabin. Radar sensors on the driver’s door detect lamp posts or other obstacles to stop the door swinging open and bumping into objects. The door can also be programmed to close and lock behind you as you walk away. 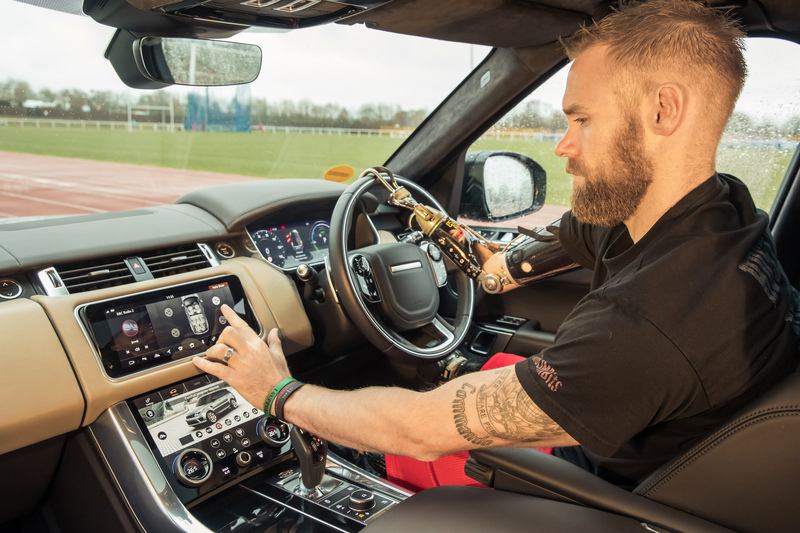 Jaguar Land Rover is working with a gold medal-winning Invictus athlete to trial the system. Former Royal Marine Commando Mark Ormrod is Britain’s first triple amputee from the Afghanistan conflict. Jaguar Land Rover research engineers developed the system on a laboratory rig over six months before testing it on a Range Rover Sport. As well as helping disabled people, they also see the technology as relevant to all future vehicles.